Hope Jacare Designs: Crafty Creations Challenge - Tags! 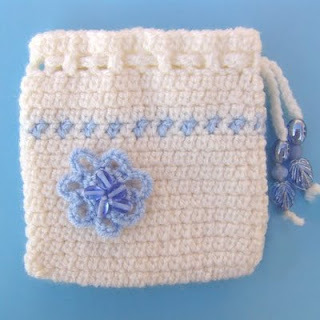 Look at the beautiful piece of crochet you could win this week in the Crafty Creations Challenge! Trudette is sponsoring us with this lovely prize - if you pop over to her Etsy shop you will find some other beautiful creations by Trudette. I cut some tag shapes on my Pazzles - each shape in two sizes. Coloured babies with copics- ahhhhh skin tone is running out......Coloured edge of larger tag with the same shade as extras around baby. Used off cuts to cover smaller tag and rubon sentiments. Layered then threaded fancy fibres through hole set with eyelet. Oh my goodness!! These are the cutest little babies I have ever seen!! Oh wow Claire, your skin tone colouring is so amazing! I am in total awe! What fabby creations, I love the cute baby set too! these tags are just amazing claire! I love how you colour your work, its fantastic! So adorable Claire!! This is such a wonderful tag set! I want all of them!! These are so darn cute! These are lovely - so unusual too!